A web application or a web app is software that runs on a web browser. Though this might be perhaps a very simple definition, the implications and use of a web app are huge. With the help of web apps, an emerging online business can fine tune their business strategy and reap success on the Internet. 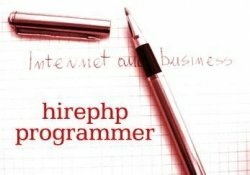 How to Become a Better PHP Developer? There are many questions arise when you go for developing new E-commerce website or redesign website. Number of aspects comes out while developing specific website such as Website navigation, impressive outlook, easy operation, secure transaction, beneficial stuff and much more. So question arrives here, which web development Platform is better for e-commerce website development.